Edgar Rice Burro, Bon Vivant. I think we all knew it was only a matter of time. 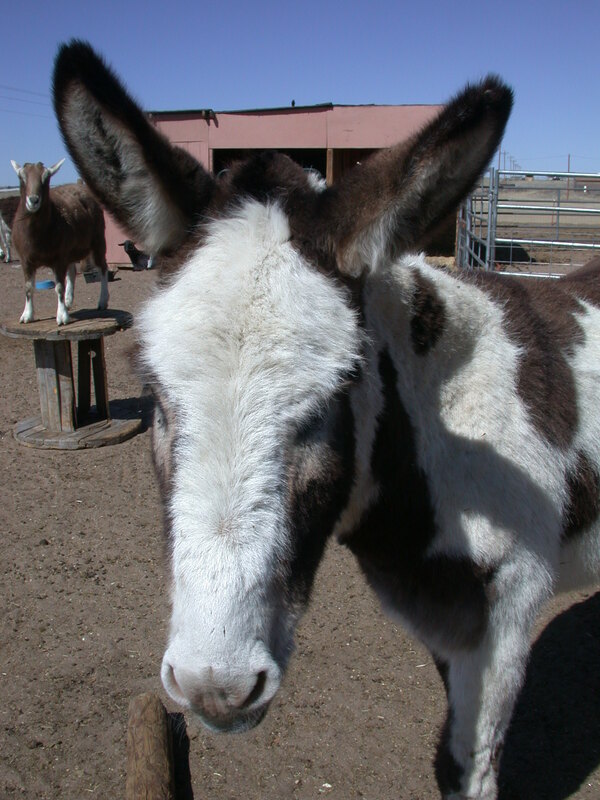 Newsflash: Our own Edgar Rice Burro is will be making his theatrical debut this spring. You could consider it off-off-off-Broadway. We could not be more proud of him. And at the same time, you had to expect that it was going to happen- donkeys like Edgar just naturally rise to the top. Edgar has had a cult following for years. As a public service, I have been asked to say a few words about Edgar, in an attempt to de-mystify his rather iconic persona and control the number of paparazzi helicopters flying over, waking up the goats at all hours. Here goes: Handsome, most obviously, but beneath this athletic, viral surface there is so much more! Naturally Edgar is a very interested in philosophy. It is not at all unusual to see him gazing with a Zen-like peace, while thinking deep, soulful thoughts. He is very out-spoken verbally, holding forth with ageless donkey yodels- Edgar sings the blues. He prescribes to the time honored hippie traditions of communal living and sharing your good fortune with friends. He is very conservative in his personal habits however. He holds his hairs and doesn’t begin to shed until after the very last freeze of late spring. He frequently worries that he might be over-dressed and would opt for a plain gray suit, if it were available. His nose is multilingual, including some dialects dating from prehistoric time. Edgar likes children, cats, old horses, and pretty much anything that moves slowly. But he does find dogs a bit loud and abrasive. His favorite color is green- grass green. Edgar has theatrical experience, of course. He and I did a bit of costumed performance art to Elvis’s Are You Lonesome Tonight? It is certainly the high point of my theatrical life. Edgar’s acting style is frequently compared to George Clooney with an easy grace- so comfortable in his skin. Like many actors, Edgar is a bit shy in real life, humble about his leading man good looks, and his Mensa membership. Edgar prefers speak for himself about his political opinions. What is on the horizon for Edgar? I can’t tell all, but Steven Spielberg has been on the phone with Edgar. He is filming a sequel to WARHORSE, about rebuilding people’s lives after the war. Talks are going slow, Streep is demanding Edgar, she wont take no for an answer. Edgar refuses to fly and is concerned the availability of a good ear massage in England. Spielberg is willing to build the white cliffs of Dover and several other London sets, all in our south pasture, if Edgar will agree to star. Writers are scrambling to add a part for Fred, the duck. Negotiations continue. PEACEDONKEY hopes to start filming this summer. BRAVO EDGAR RICE BURRO AND BRILLIANT!!!!!!!!! Edgar, Daddy David and I miss you so much, but knew you would be happier with Anna to cater to your every whim, and other donkeys to play with you. I knew when I first brought you home you were destined for great things, and Anna has made it happen for you! Be nice to Spielberg and remind Streep that the thumbs go IN the ears for the best massage. Love you! The jennies are gonna go crazy for Edgar. They’ll be driving by night and day to catch a glimpse of him. Good thing he has his personal bodyguard-goat watching over him.